Segmenting works is the best indicator of reading success! The first step is working on syllables! In kindergarten, we work to help build this skill in the upper grades. Playing Feed the Animals makes it fun! The 3 or 4 animal cue cards have dots to help the learners remember the number of syllables! 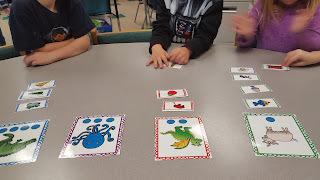 The students choose a card and all learners clap the number of syllables. 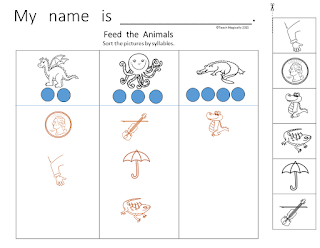 The student then has to place it under the correct animal. The other learners need to give a thumbs up or down to show support. It's so much fun to hear, "You can clap syllables" or "You clapped the right amount, Yeah." They are so happy when friends do the right thing!!! 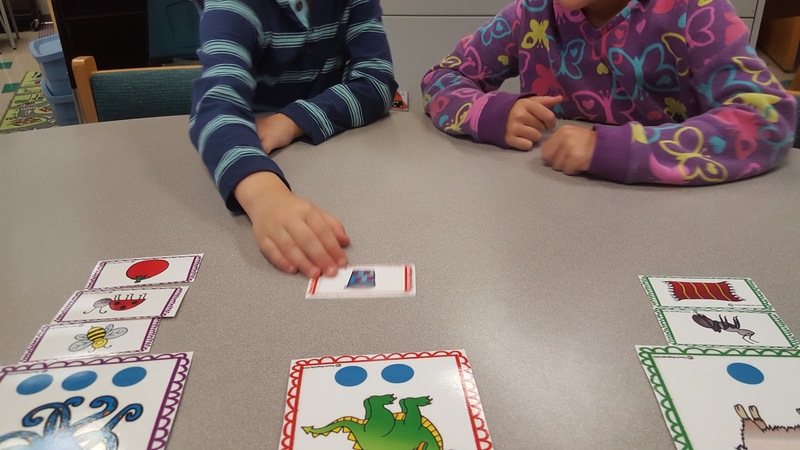 The students love to play this game! 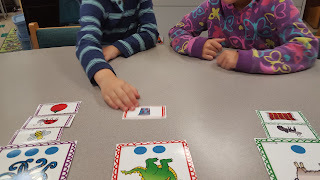 Once we have played a few times and I think they have the concept, (We also clap all kinds of words from books we read in Read Aloud...vocabulary works work well!) I have the students work on a cut & paste activity! It really shows me what the students have learned. I do always ask what they think before deciding on correctness. Sometimes they supply another word.